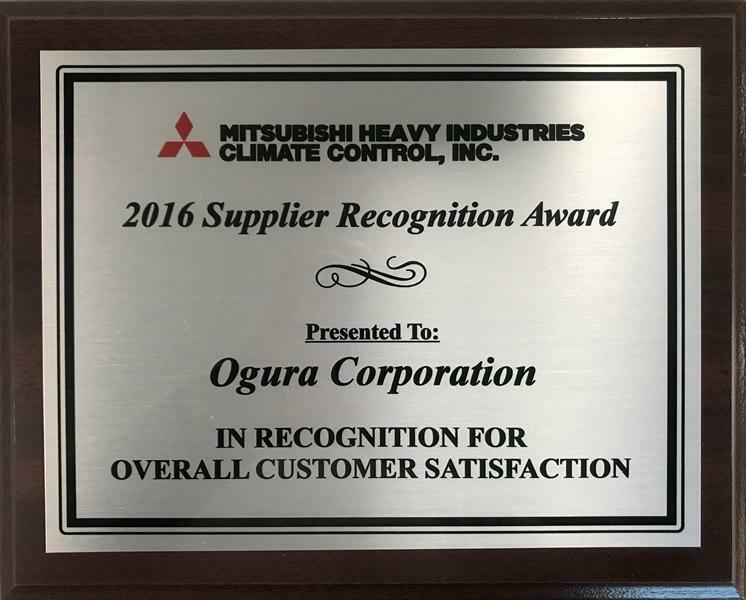 Ogura Corporation (OC) recently received the Supplier Recognition Award from Mitsubishi Heavy Industries Climate Control, Inc.(MCCA). MCCA visited OC and presented the award plaque. The award was given because of Ogura’s consistent high marks regarding quality, delivery and cost.